Hindus are highly concerned after reports of a cow’s severed complete head with a bullet to it was left at a Hindu cow sanctuary in Jackson Township in Monroe County of eastern Pennsylvania between Saturday night and Sunday morning. Distinguished Hindu statesman Rajan Zed, in a statement in Nevada today, said that it was shocking for the hard-working, harmonious and peaceful US Hindu community numbering about three million; who had made lot of contributions to the nation and society; to receive such signals of hatred and intimidation. Zed, who is President of Universal Society of Hinduism, urged administration for swift action; and Pennsylvania Governor Tom Wolf and Monroe County Chairperson John R. Moyer to contact the area Hindu community to reassure them. Meanwhile, Rajan Zed commended the Cow Sanctuary for keeping the ancient Hindu traditions alive in Pennsylvania by providing protective shelter to cows. Zed points out: Cow is worshiped by Hindus world over. Rig-Veda, the oldest existing scripture of the mankind, describes cow as aghnya (not slayable). Lord Krishna, shown as cowherd many times, is also known as Gopala (protector of cows). There is a belief that cow was created the same day as Brahma (creator god). Also referred as “Mother Cow”, this divine animal, venerated from an early period, is the abode of many deities in Hinduism. Mahatma Gandhi reportedly said, “I yield to none in my worship of the cow”. According to reports in 2015; 40 Hindu religious flags were burned outside a home in Queens (a New York City borough) on Thanksgiving Day; a Hindu temple was vandalized in Kitchener (Ontario) on November 15; sign of planned “Winston Salem Hindu Temple” in Clemmons (North Carolina) was hit with over 60 shotgun blasts in July; a Hindu temple was vandalized in Dallas (Texas) in April; two Hindu temples in Kent and Bothell (both in Seattle metropolitan area of Washington) were vandalized in February; a Hindu grandfather was roughed-up by police in Madison (Alabama) in February, resulting in partial paralysis. In 2014, there was anti-Hindu vandalism in Loudoun County (Virginia). 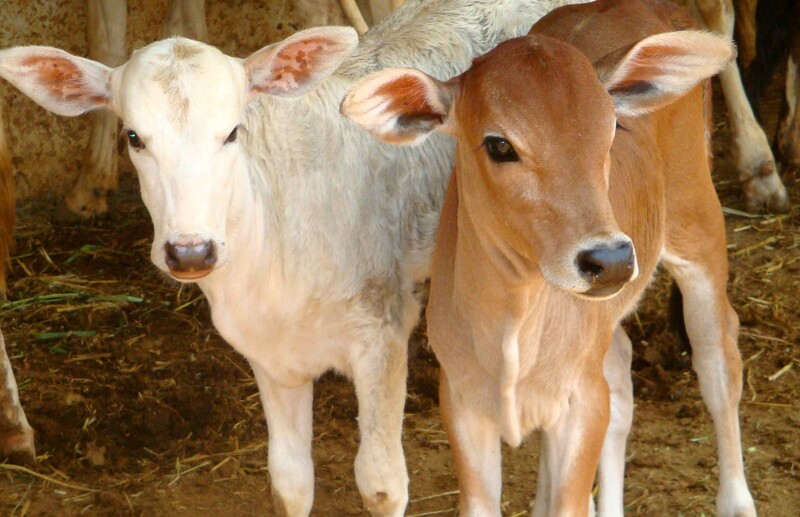 Goal of this Lakshmi Cow Sanctuary is “to protect as many cows as possible and to make them genuinely happy” and its mission is “to provide them with a free and loving environment where they can live peacefully”. The Sanctuary also sells organic dried cow dung patties for use in some Hindu religious ceremonies. Dr. Sankar Sastri, a former dean of engineering in New York City College of Technology, is the founder. क्या आप वनस्पति तेल का भयानक सच जानते हैं ?